Click on the name of the campaign containing the message you want to see the report of. 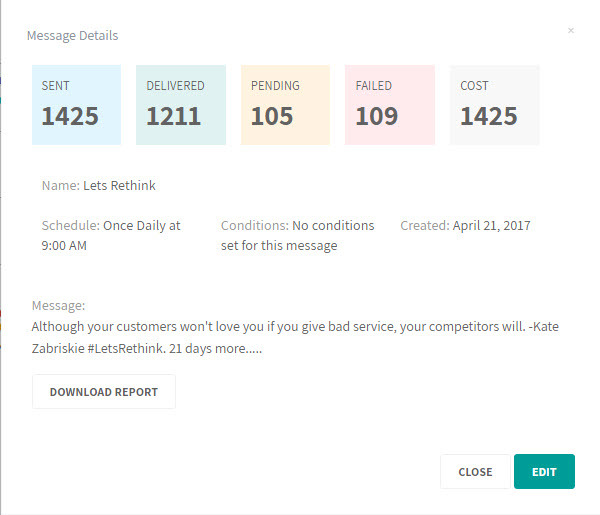 Click on the name of the message you want a report on (the list of messages in the campaign is at the bottom of the page). This pop-up page contains your message report.